There is political intrigue to report tonight and it has to do with the retirement of Prime Minister Dean Barrow. For some time it had been known that the PM had scheduled his retirement timeline for one year before the end of the current U.D.P. term in office. The Prime Minister had explained that his early departure would give time to the new party leader to gain the experience of the office of the prime minister. But there seems to be a major shift in this thinking since on Wednesday, a group of U.D.P. cabinet members had a sit-down with the PM, requesting that he stays on until the end of the term which is in November 2020. 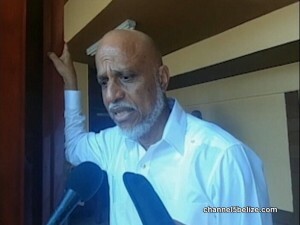 This, according to our sources, comes in the wake of the defeat of the Attorney General Michael Peyrefitte in the Port Loyola constituency, who was favoured and being primed for the leadership. According to reports, there will also not be a leadership convention as scheduled in May, 2019. So where does this put aspirants Patrick Faber and John Saldivar, who were not at the meeting? On Friday, the PM Barrow responded to that meeting in the following manner.